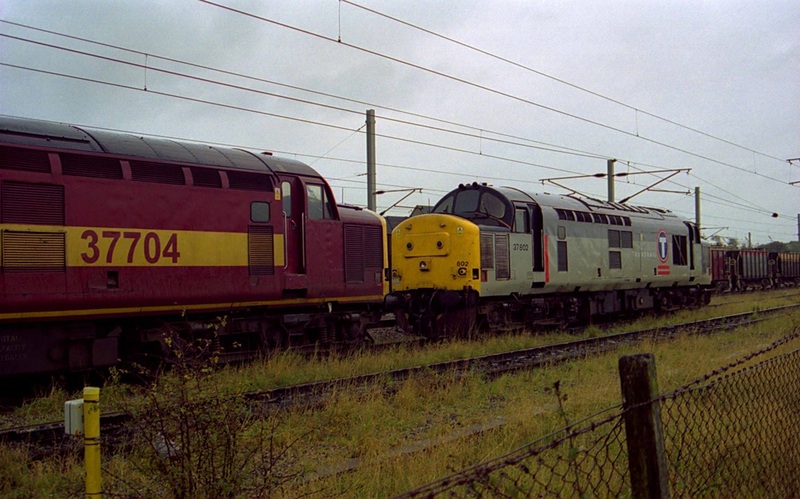 26/9/1999, and 31275 and 31410 stand at Carnforth. 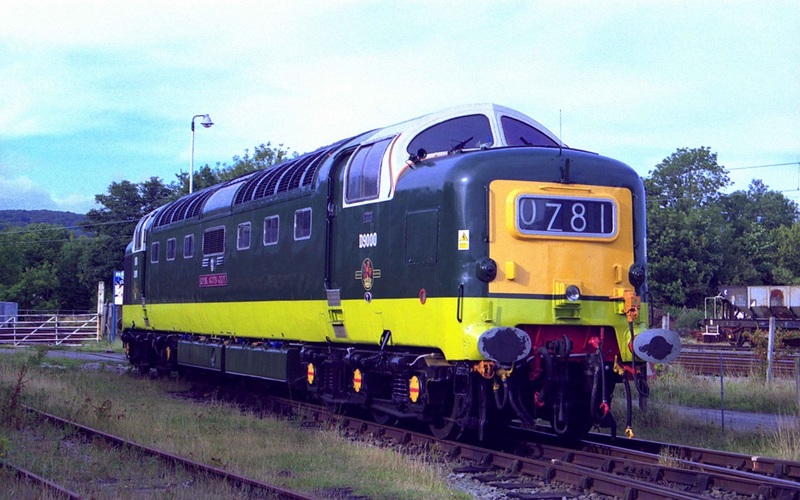 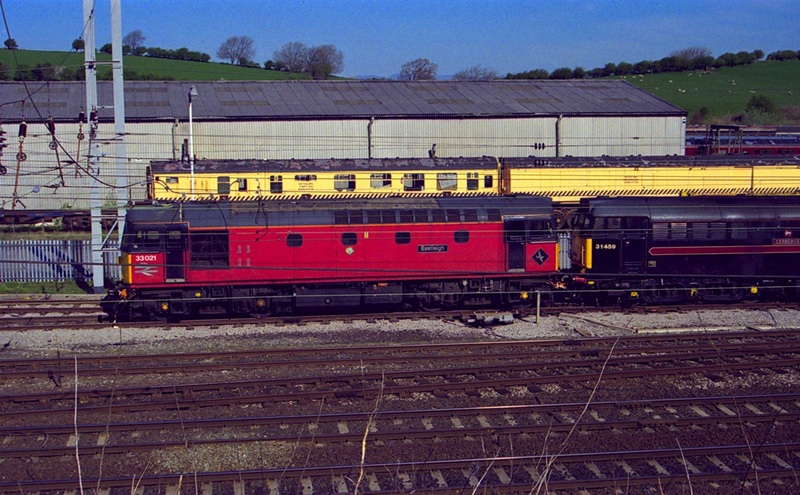 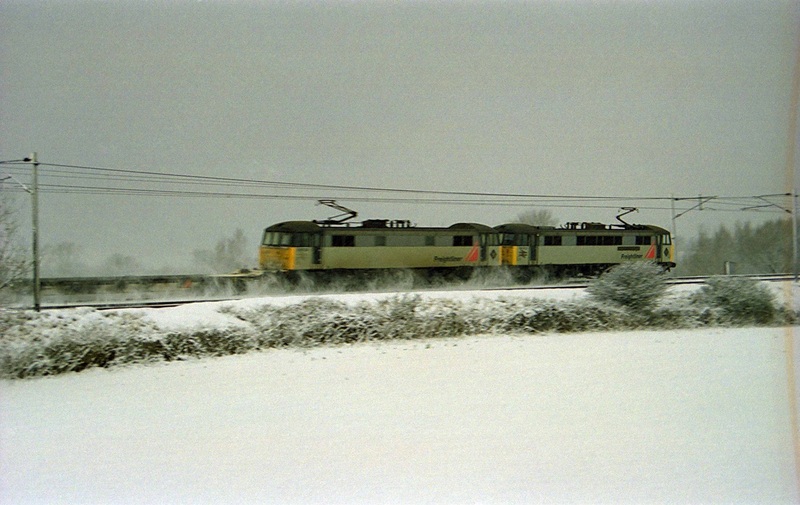 The locos were both here for a number of years, I think having derailed within WCR's site. 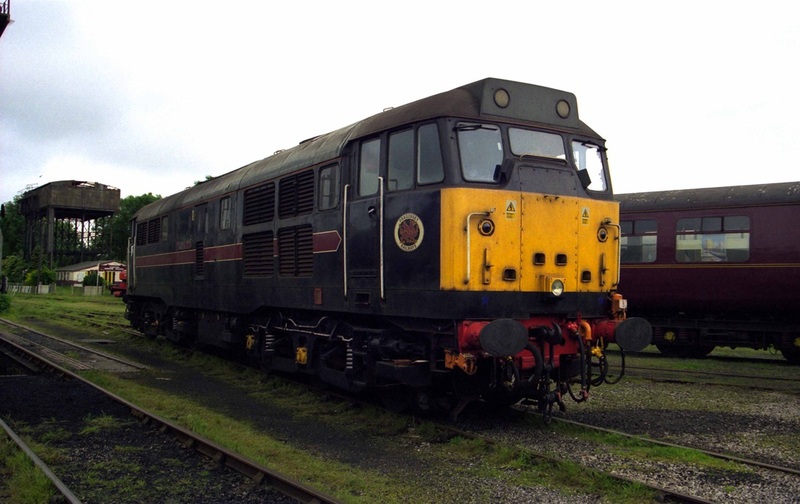 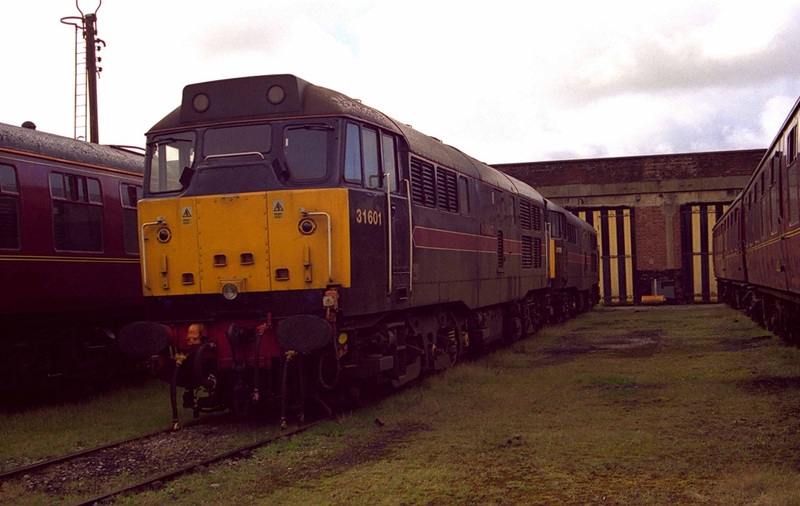 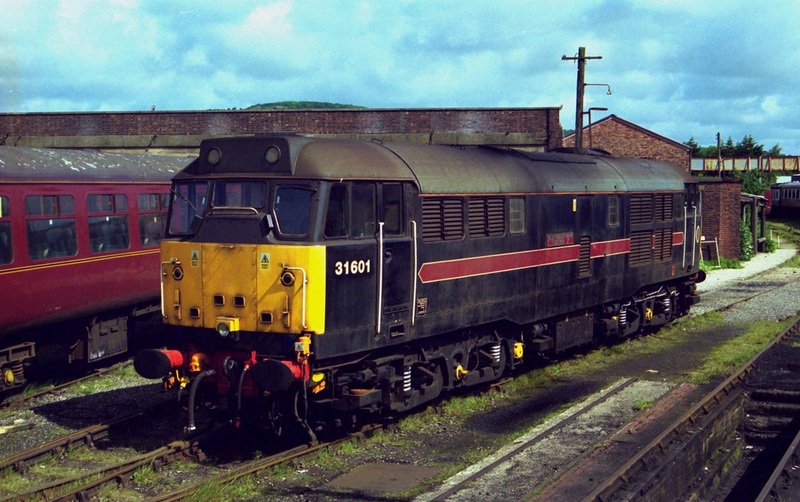 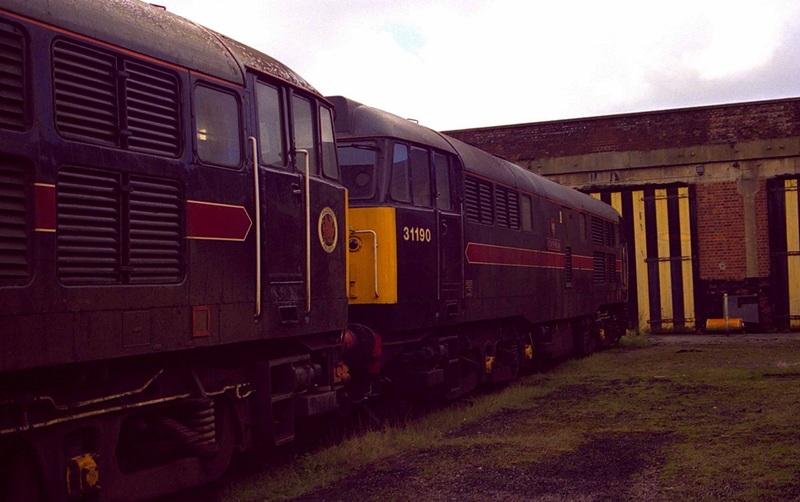 Currently 31410 is undergoing restoration at Kirkby Stephen. 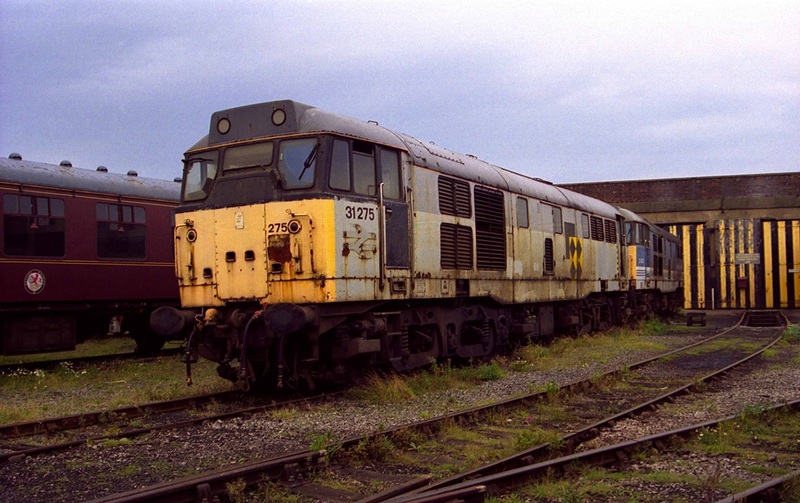 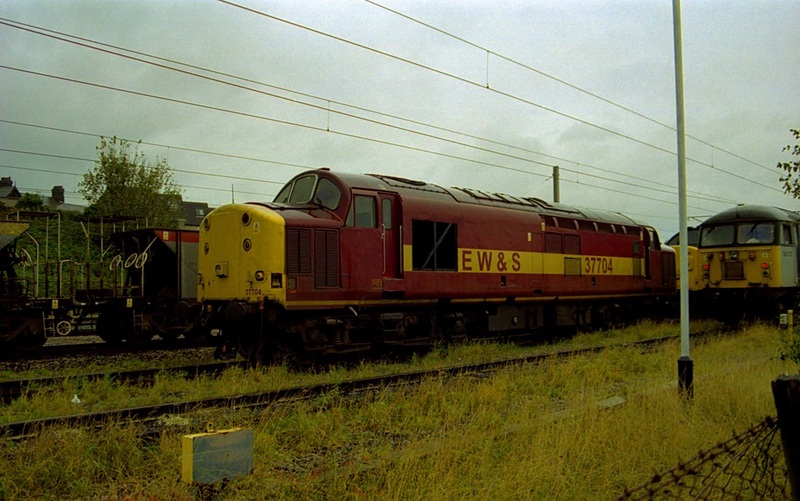 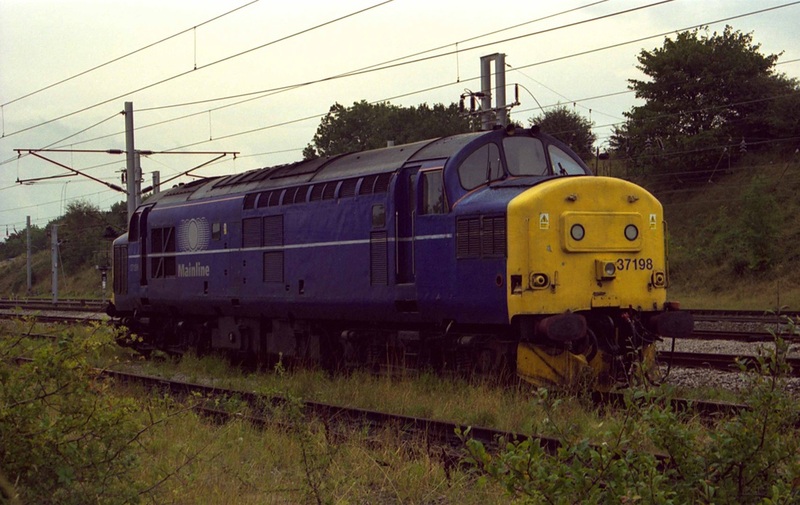 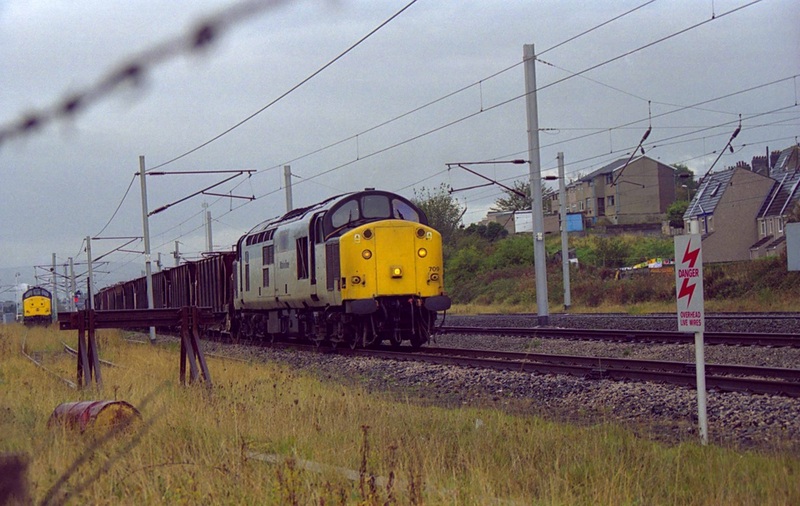 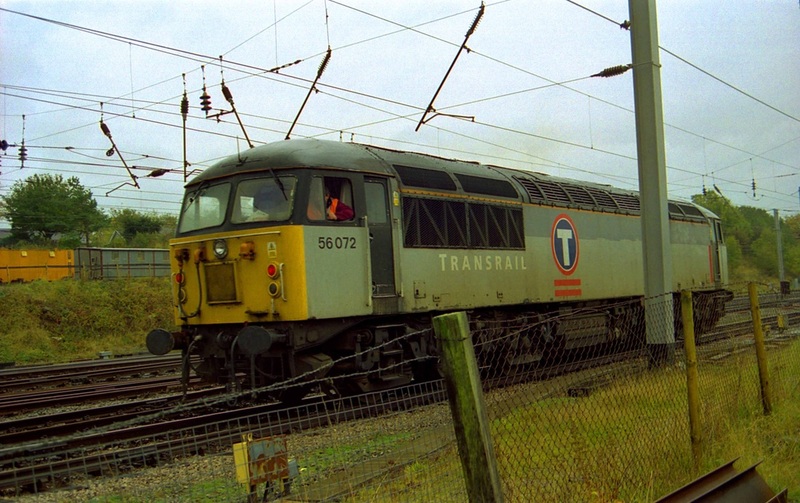 37198 stabled at Carnforth on 26/9/1999, presumably on Thunderbird duties. 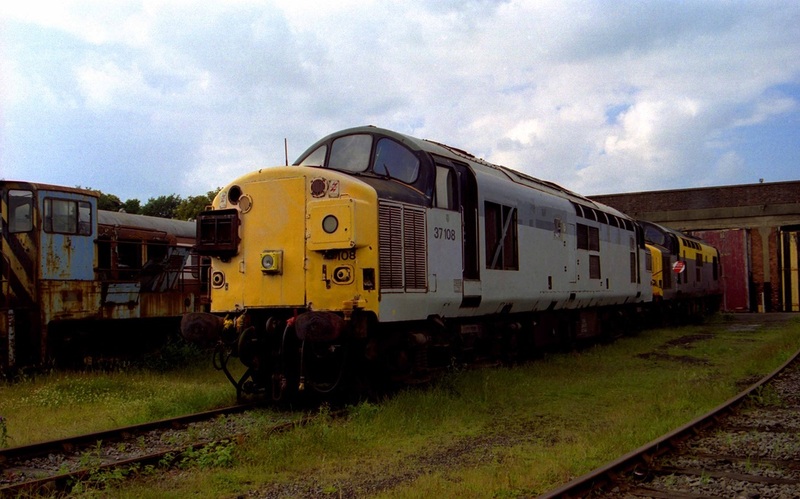 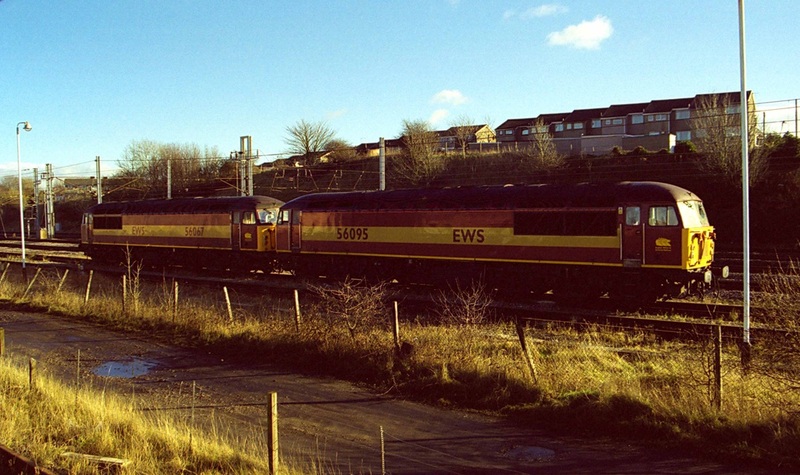 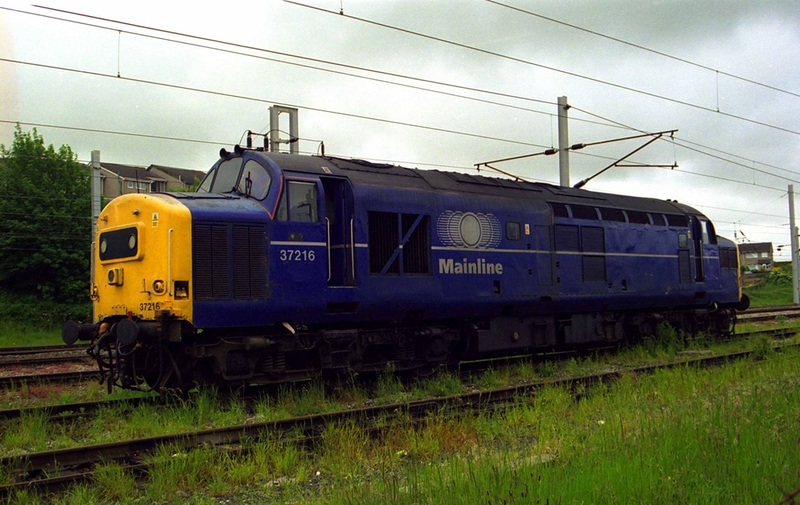 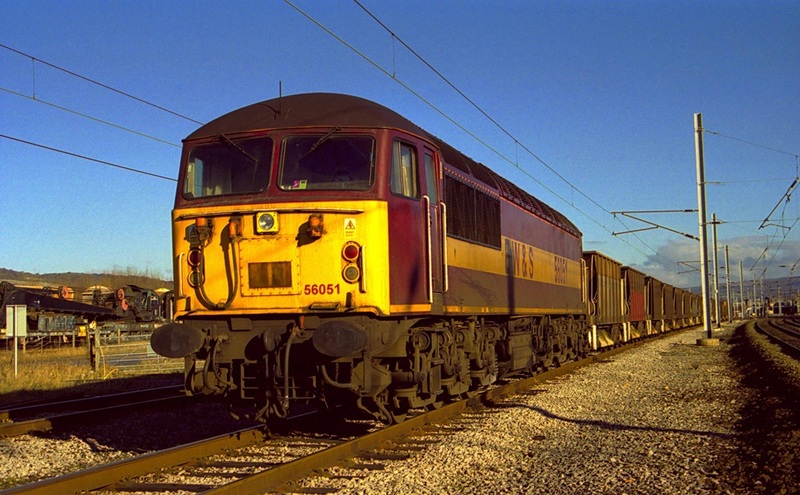 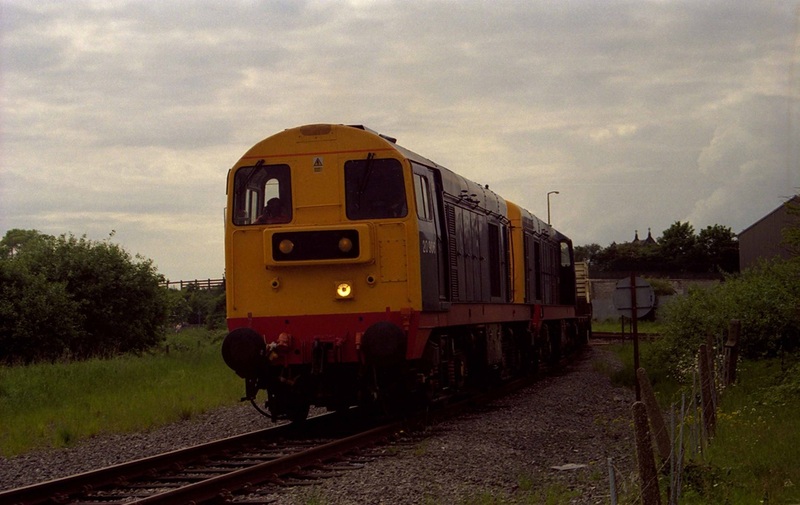 Fragonset liveried 31601 stands at West Coast Carnforth on 10/6/2000. 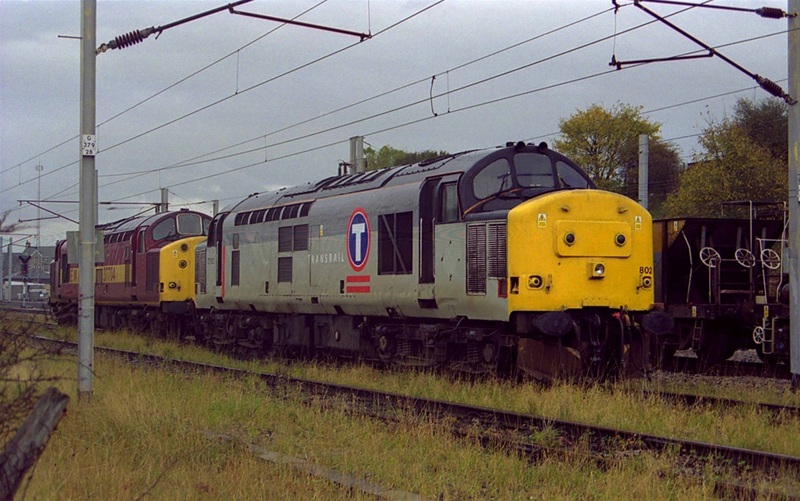 10/6/2000, and Dutch 37158 at West Coast. 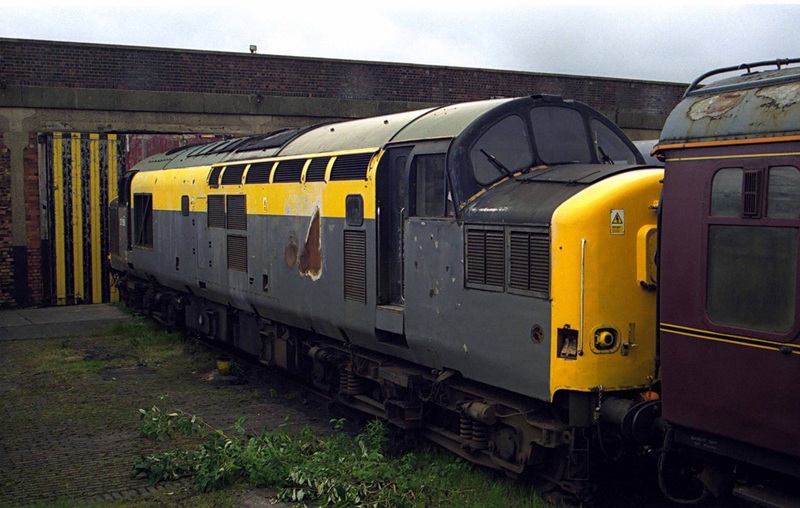 I don't know what happened to this loco, but it was here for several years. 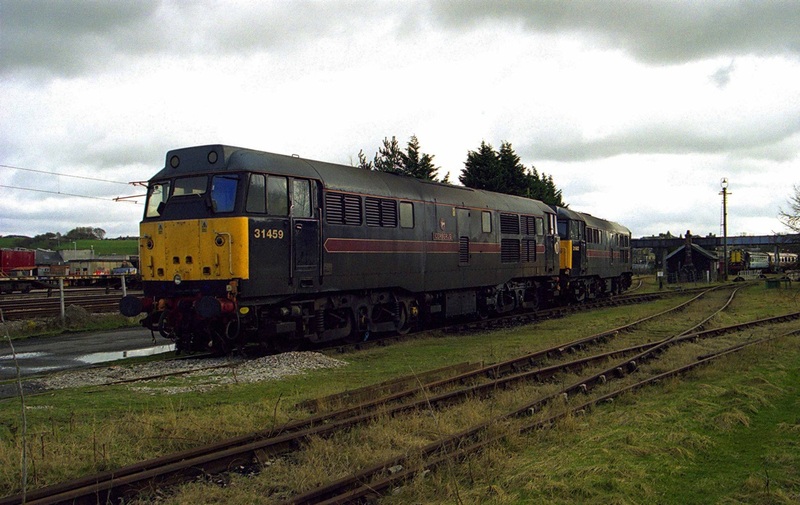 Red 33021 and 31459 brought a charter to Carnforth on 7/5/2001. 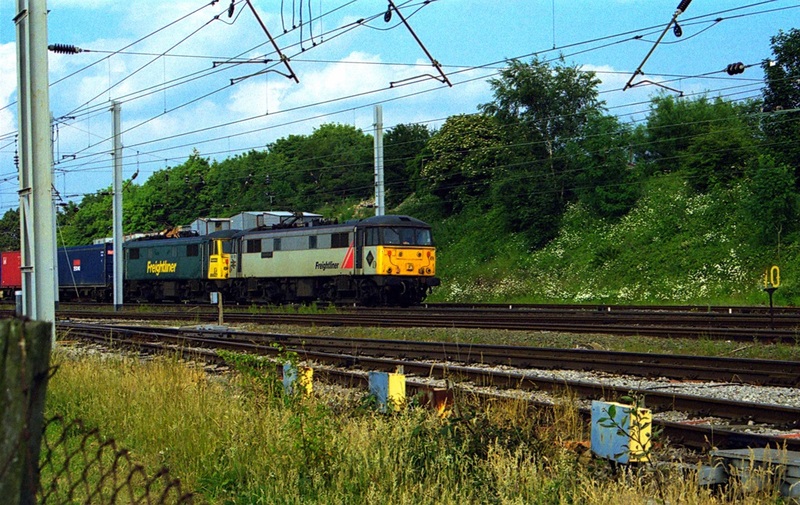 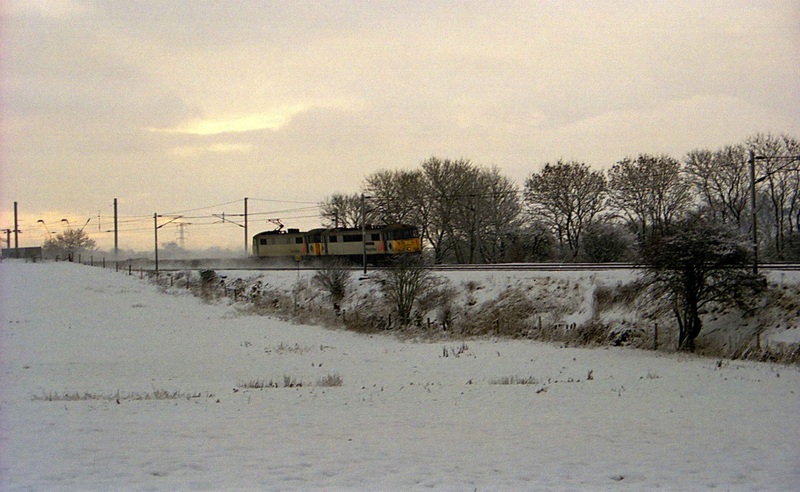 The locos ran off the front, to make way for a Kettle for the trip to Ravensglass.